Usually when I read celebrity profiles of people who are crawling in their skin at the idea of appearing in a magazine, or talk at length at how little they want to be interviewed or photographed, I roll my eyes. 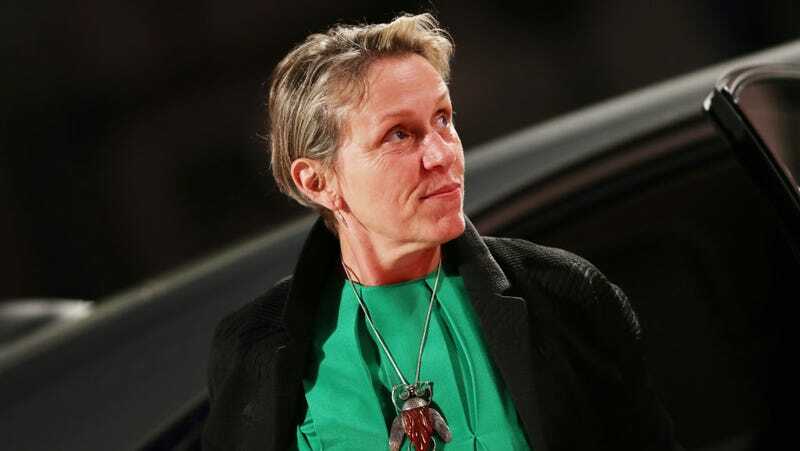 But not with Frances McDormand, whose recent profile in the New York Times Magazine is a revealing study of an aging actress who would rather remain invisible beyond the outgoing roles she often plays on screen. Shortly after returning from Paris, I received an email from her with the subject line “My head shot.” It contained a photograph of her floating naked in a lake. She doesn’t like having her picture taken, she wrote, but this might suit the magazine’s purposes. Two months after that, she sent me a picture of herself at the dinner table with a head of cauliflower perched atop her like a crown.